5 E-cooperative is a FRAUD. This is Why! ECooperative was one time the stream of wealth where people got their hard earned money doubled. Have you ever thought of making money online, Amazing Ponzi Scheme has been one of the sure ways people grow their income right from the comfort of your home coupled with a Good Phone and Your Network. To be frank with you all, nothing drives me crazy about seeing new ways to make money. Ecooperative showed many people the way, they tried all they could to make sure that Poverty is been eradicated in the country. It is no doubt to inform you all that so many people also benefited from the Platform. In our detailed statistics, we came to discover that Nigerians as a Nation has been a victim to fraudsters, scammers in form of Ponzi and pyramid schemes and E-cooperative has added to that Ponzi Scheme that made many people cry bitterly. Well, on this post, I will be lecturing you all on what you should know about E-Cooperative and how it really worked. An e-cooperative platform is just a wonderful place where you double your money times 3 depending on what you invested. This platform is really loved and appreciated by so many who come across it. 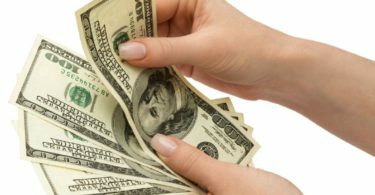 One interesting part of this program is that they came with the sole goal of multiplying your money via various financial instruments. Based on what they said, it was really a good program that will really be of great help to people. But the painful part of it is that the reverse was then the case. It happens, For you to be successful, you will have to go through some discomfort. Sometimes, you either gain or lose money. This goes to all those who don’t know the simple guideline involved on E-cooperative platform. Kindly read through to know how it works. 1: You will have to visit this like via Click Here to Register at e-Cooperative. It is a pleasure we make it known to you that before you can register with e-Cooperative business, you need the following ready. Get Your Nigerian bank account. 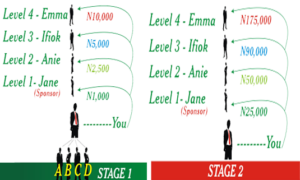 Below is the picture of well structured Ecooperative stages you need to know. E-cooperative is a FRAUD. This is Why! It is very painful to come up with a good plan to make sure you raise people financially and the latter one you left with their hard earned money considering the recession we are into. Ecooperatives did not try at all by not keeping to their promise. Coming down to the site, It is no longer opening as it was in the beginning. How do you expect people that invested hugely on the platform only to find out now that www.ecoopereative.com is no longer opening? It is really heartbreaking. This is a total Scam! 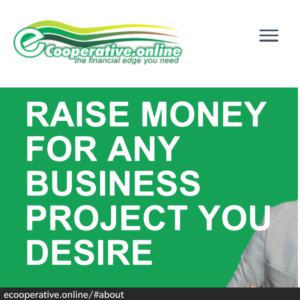 Have this at the back of your mind that E-Cooperative Nigeria does not have a base or any form of investments, where they can pay their users from Just like NNU that pays users with its Ads Revenue. They rather take money from New Members to pay old once. New Members stopped coming in, That was Why It CRASHED! Ecooperative has really done nothing but harm to all involved, It happens. Before you invest any money in any Ponzi scheme, make proper research in other not to cry at last. Hope you found this post interesting. Do well to share this post with family and friend via any of the share buttons. Stay with us as we do all we can to keep you updated.